​The Russian Foreign Minister says the US should take responsibility for those whom they put in power instead of issuing ultimatums to Moscow. "Before giving us ultimatums, demanding that we fulfill demands within two or three days with the threat of sanctions, we would urgently call on our American partners to fully accept responsibility for those who they brought to power,” said Lavrov during a press conference with his colleague from Mozambique, Oldemiro Baloi. Meanwhile, the Russian FM also criticized statements from Western countries and Kiev’s authorities, which “invent possible and impossible arguments against Russia,” claiming that a large amount of Russian arms in the conflict zones proves Russian interference in Ukrainian affairs. 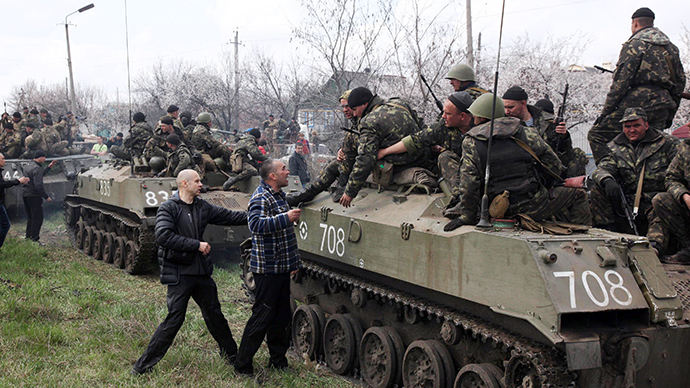 He called the statements absurd as Ukraine has traditionally used Russian-made arms. “This statement is ludicrous. 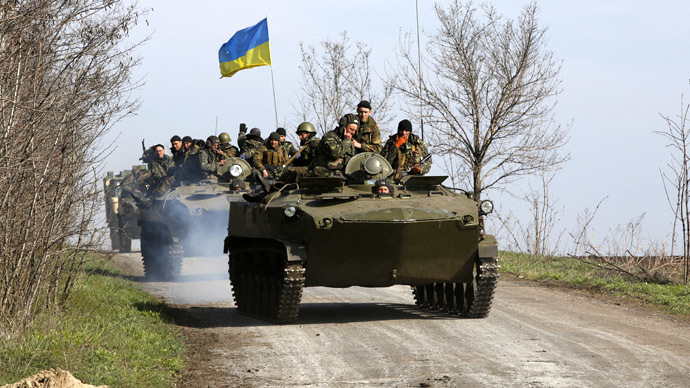 Everyone has Russian arms in Ukraine,” Lavrov said. Meanwhile, he also said that TV outlets have reported that US arms were also found in Ukraine and illegal armed groups, not the Ukrainian army were in possession of these American arms. Speaking about the crisis situation in eastern Ukraine and Kiev’s crackdown on the Donetsk region, Lavrov also said that Kiev authorities don’t want or maybe cannot control the extremists who continue to control the situation in the country. 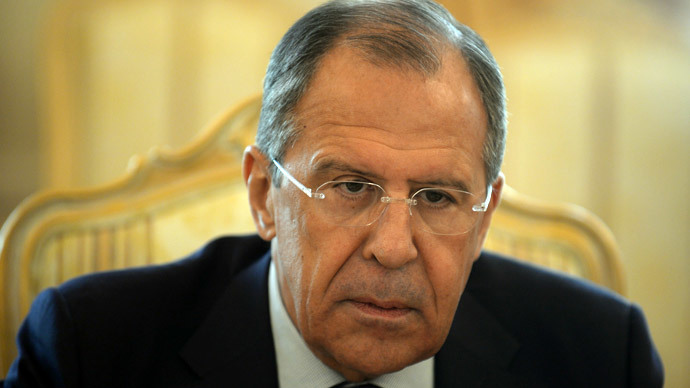 Meanwhile, Lavrov also said that the Kiev coup-appointed government has violated the Geneva agreements of April 17, after the four-sided talks between the EU, the US, Russia and Ukraine. “The Pravy Sektor (Right Sector) group has been “running the show” in the streets of central and western Ukraine and is trying to affect eastern regions,” he said, adding that buildings in Kiev seized by the protesters haven’t been freed and the streets haven’t been cleared. “However, Kiev authorities say that “Maidan” is acting legally which is totally inadmissible,” he said. Meanwhile, the attack by militants on the checkpoint in the eastern Ukrainian city of Slavyansk on Easter Sunday is a crime beneficial only for those who want to derail the Geneva agreements, said the Russian FM. “The fact that extremists started to shoot at unarmed civilians is unacceptable,” he added. Meanwhile, he also criticized the attitude of Kiev to foreign journalists in Ukraine as journalists in the country are being arrested and the authorities won’t let them into the regions for them to observe what is happening. He also stressed that one of the Geneva agreement’s points is to amnesty political prisoners and participants in the protests. “Instead of releasing the Donetsk governor, Pavel Gubarev, Kiev authorities continue to arrest activists in southeastern Ukraine,” said Lavrov. According to Lavrov, the Kiev authorities are still spinning out the implementation of constitutional reform in the country. “Why were they waiting for so long to speak about the necessity of constitutional reform? Why are they spinning out the process?” he asked at the conference. 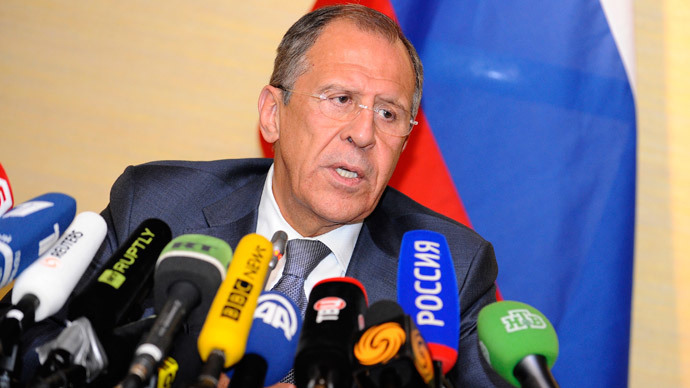 Lavrov also stressed the necessity of restoring order in the crisis-torn country. By this he meant stopping extremism and religious intolerance, starting constitutional dialogue and disarming the illegally armed groups.